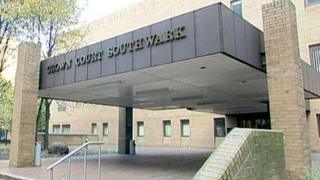 Image caption Tendai Muswere will stand trial at Southwark Crown Court on 27 August. A university student is to face trial for allegedly manufacturing two handguns using a 3D printer. Tendai Muswere, 25, appeared at Southwark Crown Court where he denied two counts of possessing a prohibited firearm. He also pleaded not guilty to two counts of manufacture of a prohibited firearm relating to the same two guns. The Zimbabwean national was a student at London's South Bank University at the time of the offence. The alleged weapons were found during a raid on Mr Muswere's flat in Pimlico, Westminster. Judge Christopher Hehir set Mr Muswere's trial for 27 August.